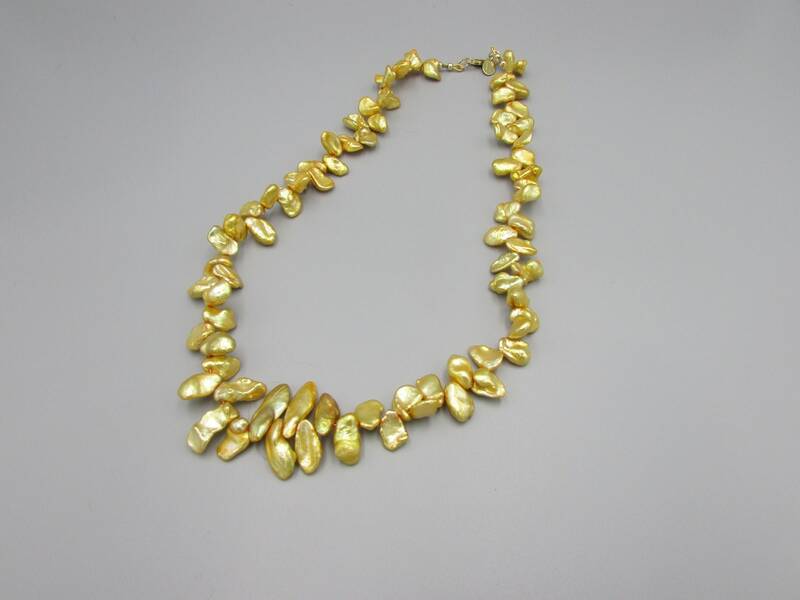 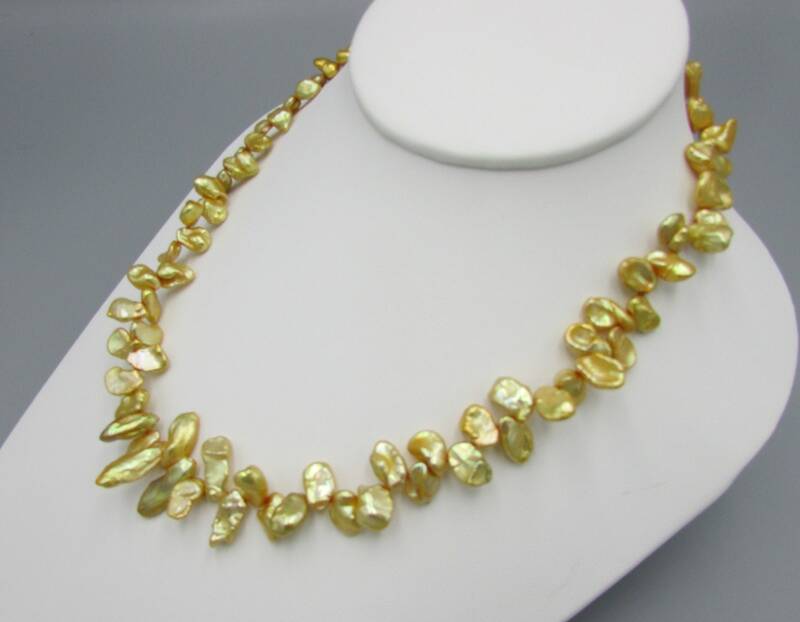 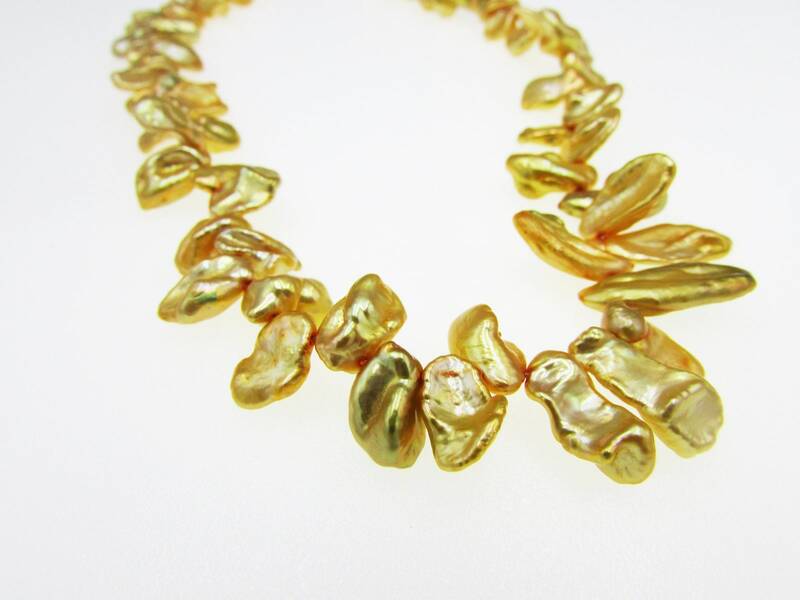 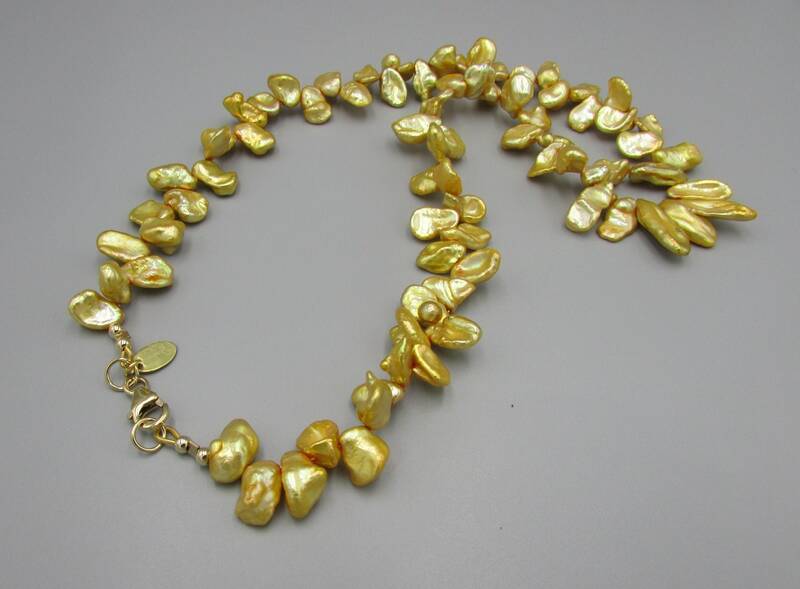 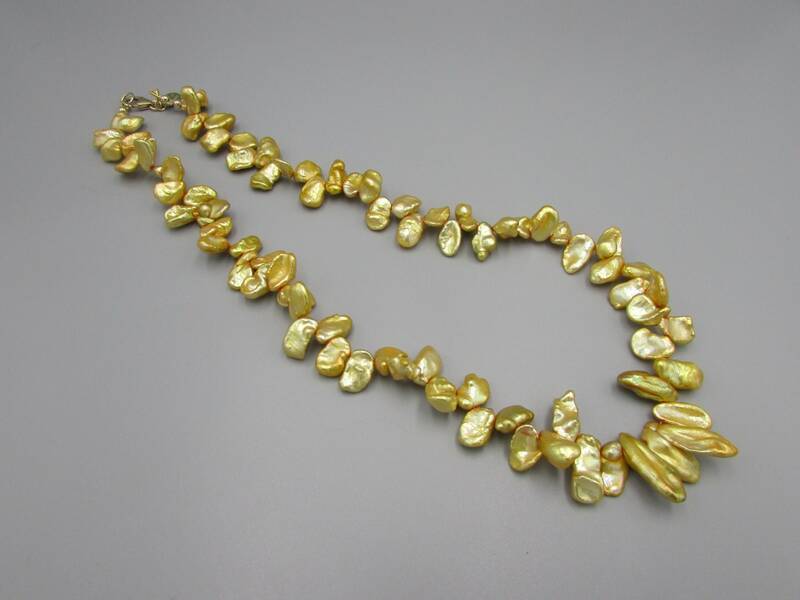 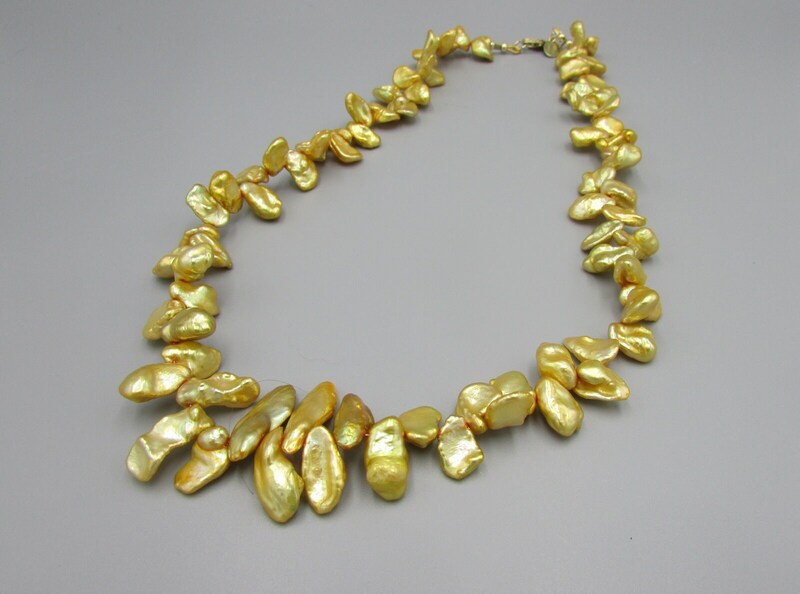 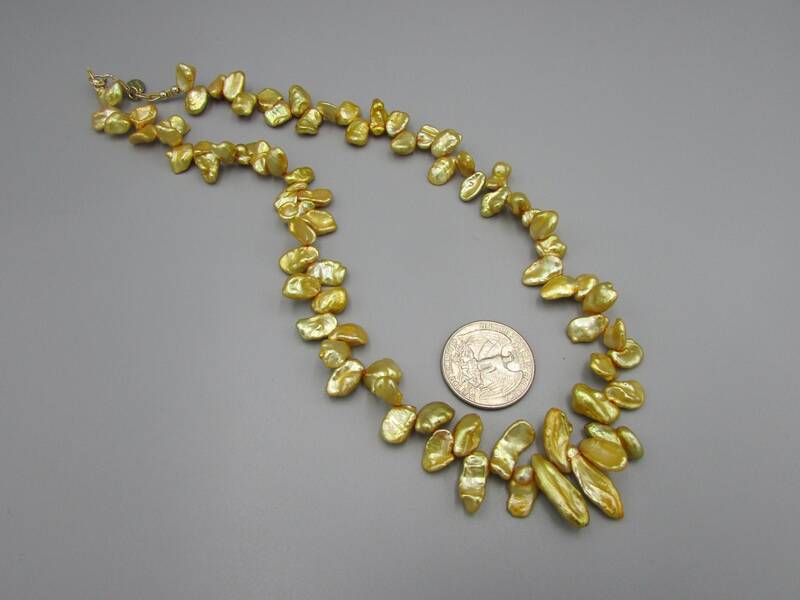 Stunning keshi pearl necklace in a beautiful shade golden yellow pearls ranging in sizes from 7mmx18mm to 10mmx7mm. 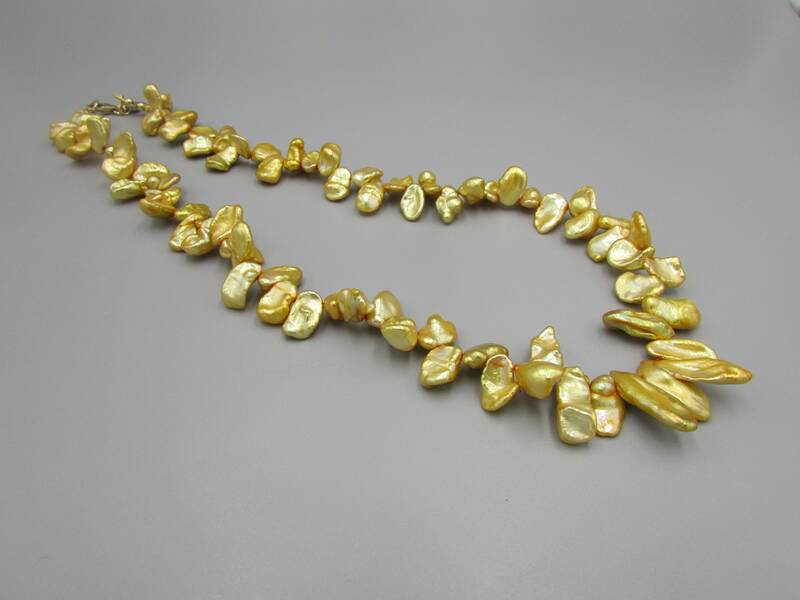 The pearls have a wonderful luster and shine and make this necklace look amazing around the neck. 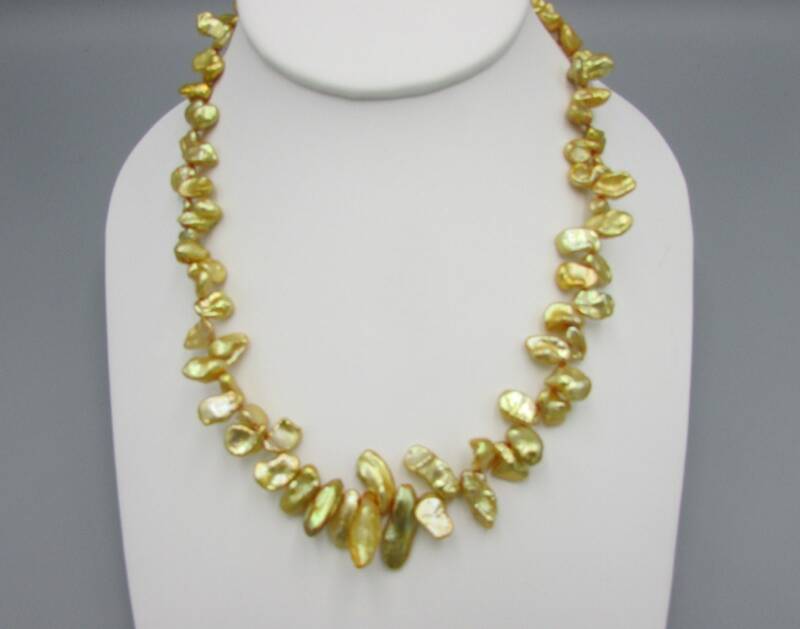 Unique and one of kind you'll definitely turn heads wearing this one. 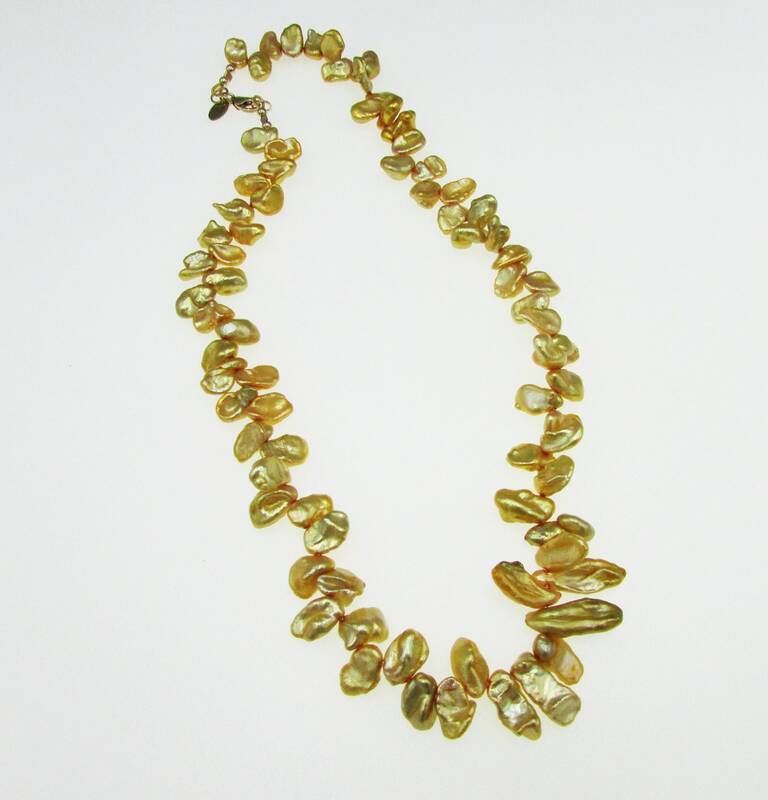 The length is 17 inches long and perfect to wear for any occasion.